Hey all Happy New Year. I hope everyone is recovered from the holiday festivities! It is gorgeous. 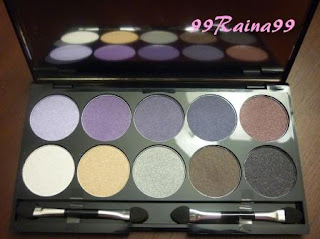 It has 10 eyeshadows; white, several lilac/purple shades, golden beige,brown, grey and black. The package is so cute. I love the lace on the top of the quilted cover J Quo is a Canadian cosmetic brand that is exclusive to Shoppers Drug Mart. 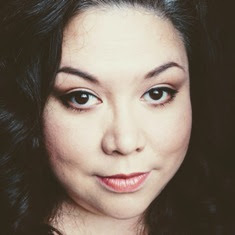 I have been using their makeup products for years. Luv ‘em! The giveaway is open internationally. The giveaway is open until January 15th. The Winner will be chosen via Random.org and contacted by email. I will ship ground but the Winner will be responsible for any duties if applicable. How gorgeous! I've never tried their products before, but my goodness it's stunning. My GFC name will either be listed as Sarah Blake or sblake1989. That looks like such an awesome palatte! Thank you for the giveaway! Super excited! I don't think we have this brand in the states. So I've never tried this. -extra 3 entries: tweeted and tagged you! I have not tried any Quo products before, but I would like to try them. They are not available in my country. I did not have a chance to try quo products. I've never tried Quo before, but this palette looks nice! I've never tried quo before, but i'd love to try. I've never tried it because they don't sell it here, but I've heard it's very nice quality! I'd like to try them out! Wow! They don't sell it here, but I'd love to try this out! My GFC name is Julia and I sent you a follow request on Twitter (my name there is aileenika) :) Hope you accept asap! I've never tried Quo before.. I've never tried Quo products before. Enter me pls, prize looks very pretty! Ive never used Quo products before and would love to try! all this will i never try quo product Mybe sometimes in future. I never tried any Quo products so far. I tried Quo polishes and LOVE them! I've never tried their products before, but this palette looks amazing! I haven't tried Quo products before. I have never used this brand because it's not available in my country. gfc name is Kimberly Rampersad. no i havent used any of their products, its not availiable in my country. My GFC is Mimi Halim, already follow you. love to try it.Thanx for this giveway dear. Wow I am so amazed at the response to my giveaway. Thank you. Giveaway will close on January 15th @ 11:59 CMT. No, I have never tried the products. I have not tried any Quo products before, but I would like to try them. I have never tried Quo products before but they seem lovely! Hi ! Join this Giveaway ! this Giveaway is really2 cool.. I have never used this brand ! but I want to try it ! I did not try any Que products, I don't have them in my country. I follow you via GFC Michelle B I never tried Quo products before. Never use this product but luv to try them! I never tried Quo products before. i have never tried Quo products before! 1 have never tried Quo products before. Never tried any Quo products before. never tried Quo products before. I've never tried Quo products (though I was really close to) but I do know them since I'm canadian. I've never tried Quo products! I'm Italian, so i hope to have this wonderful opportunity to try them thanks to you! This is the first time i have come across this brand. Love to try them out. I have only recently heard of this brand...and would love to try some of their products. I haven't tried any quo products before. I have never tried this brand befor, would like to try it :)! Thanx for the giveaway! This looks gorgeous! I have never tried, or heard of this brand before. Thanks for introducing me to it! Aw the palette looks lovely! I love purple shades! We don't have this brand in Australia so I haven't had a chance to try it! Never tried this brand before. Would love to try it! I follow you via Gfc as Agata Reluga! 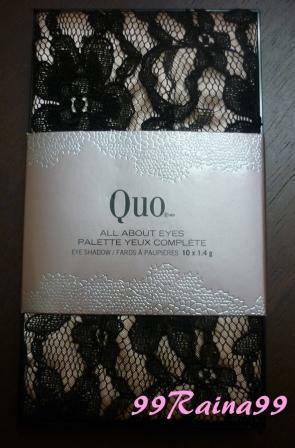 I've never tried any Quo products before but this palette looks lovely!